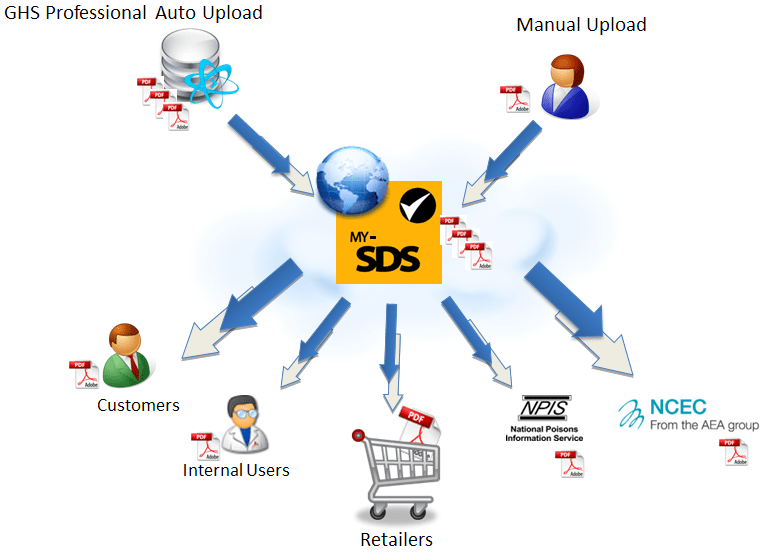 My-SDS is a chemical document management solution designed to meet the legal requirements for the provision of chemical hazard information for consumers and manage the distribution of safety data sheets (SDS or MSDS) to end users. Available as an ‘on-premise’ or hosted application, My-SDS offers a secure platform to host and distribute a range of chemical hazard documentation including label information, Safety Data Sheets (SDS or MSDS), Detergent Ingredient Sheets, Exposure Scenarios. Whether you are a chemical end user, chemical supplier or chemical retailer, My-SDS is the chemical document management solution to help your organisation.